Music is a wonderful medium that you can use to promote rich social connections, reminiscence, physical activity, relaxation, and new learning. Neuroscientists are finding that music is connected to many broad cognitive brain functions including memory, movement, and emotion. 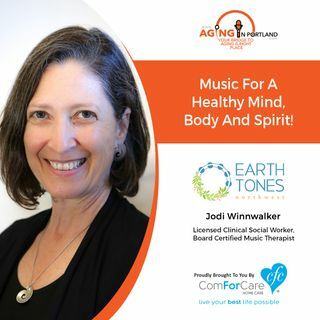 This fun and informative interview will cover topics including a basic introduction to music therapy and recent research-based discoveries about music and the brain. You will learn some simple methods for using the power ... See More of music to bring more joy to the people in your care.